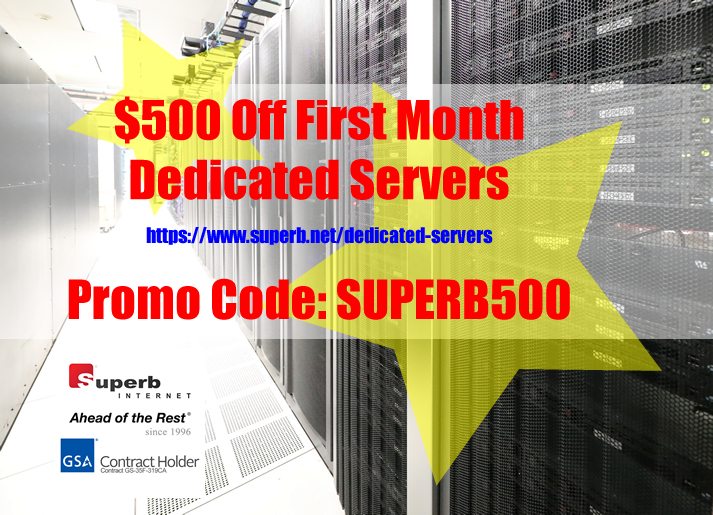 Dedicated Servers | $500 Off First Month | Promo Code: SUPERB500 – Superb Internet Blog - Delivering 360° Hosting Experiences – and blogging about it! Next articleWeb Hosting Special – Prepaid 2-Year Savings! !